✪ Communication Systems: Supports 3 riders to pair and 2 riders talking at the same time, high speed up to 120km/h and 1000m intercom range, provides efficient and convenient communications while riding. ✪ With Remote Controller: With Remote Controller: The full-duplex helmet intercom can use together with L3 handlebar remote controller, remote control system make your more safer & more convenient to receive mobile phone calls and enjoy stereo music while driving. 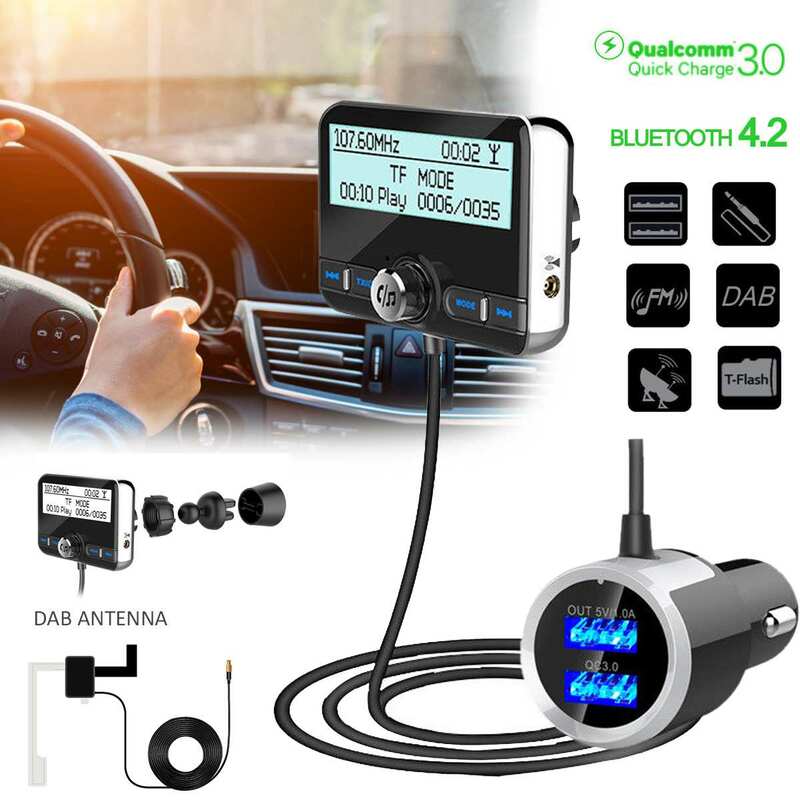 ✪ Multi-function: Fast Pairing via NFC function; Listen to stereo music, news and traffic information via FM function; Hand-free function enable your driving intently and safely; Waterproof function let you don\'t need to worry about using in light rain. ✪ Audio Multitasking Technology: Allows you to answer a call while simultaneously listening to music or the voice prompt of GPS navigations, achieve automatic switching among mobile phone call, intercom and stereo music: cellphone call first. ✪ Headset & Bluetooth Profile: Hi-Fi speakers headset (HSP: Headset Profile) with microphone make you enjoy crystal clear voice and HiFi music from your cell phone, MP3, GPS or other bluetooth device with bluetooth A2DP profile, with DPS Noise Reduction. The The FreedConn COLO-RC+L3 is a Professional Helmet Bluetooth Intercom Communication Systems for Motorcycles. it work with L3 Remote Controller, provide security and convenience bluetooth wireless communication intercom systems. ◀ This intercom can\'t be turned on ? • Before using, please charge it 12 hours for the first time, as the power of the battery may have been exhausted. • While charging, the intercom will flash Red Light, when the charging is finished, the Red Light will switch off. • Please ensure the bluetooth is off and intercom system is turn off when charging. 3. Any issues or suggestions, pls contact us first via Mobile phone number or Email us, we ensure of timely reply and 100% customer satisfaction. ✪ Tip: To maintain long life from the internal polymer battery, charge your device at least once each month. ◀ What\'s in the box? 1. If you want to intercom with others, you need to buy 2 or 3 pcs intercom. 2. It can support Max 3 pcs intercom connection, two people toggle intercom. 3. If you buy more of this intercom, the price will be cheaper!!! 4. Please check the tracking number informations on tracking website. 5. Please check the package and items carefully after you received the parcel. 6. Please Note: Man-made damages are not guaranteed, such as damage after using, water damage and so on. 7. Any questions, pls contact us by Message, E-mail, TradeManager. 1. Our success depends on every customer\'s positive satisfaction (5 stars), so your feedback is very important to us. 2. Please contact us by TradeManager or E-mail before leaving neutral (3 stars) or negative (1-2 stars) feedback, we will try our best to solve it for you ASAP. 3. We welcome our buyer tell us our store\'s problem, such as product description,communication,shipping speed and so on. 4. Hope you have a pleasant purchase experience. 5. If you have any questions, welcome to contact us first.